Together we get the best out of it. Our partnership with SOGETI and OVH is aimed in particular at medium sized businesses, who are facing the challenges of digitalization and transferring infrastructure capacities into the cloud. As a result of this cooperation, you benefit from improved service quality, increased productivity and higher customer satisfaction. Via oneclick™ applications and data can be delivered directly from OVH data centers as a stream into a 100% web-based workspace in the browser. All operational applications are made available to the users in a secure environment and via a unified user interface. It is no longer necessary to install clients or plug-ins on end user devices. Access is possible from any device with outstanding response speed via an HTML5 supported browser. The set-up of an own demilitarized zone (DMZ) requires considerable working time and investment. Using oneclick™, you securely lock down your cloud resources and hide your applications from the internet. 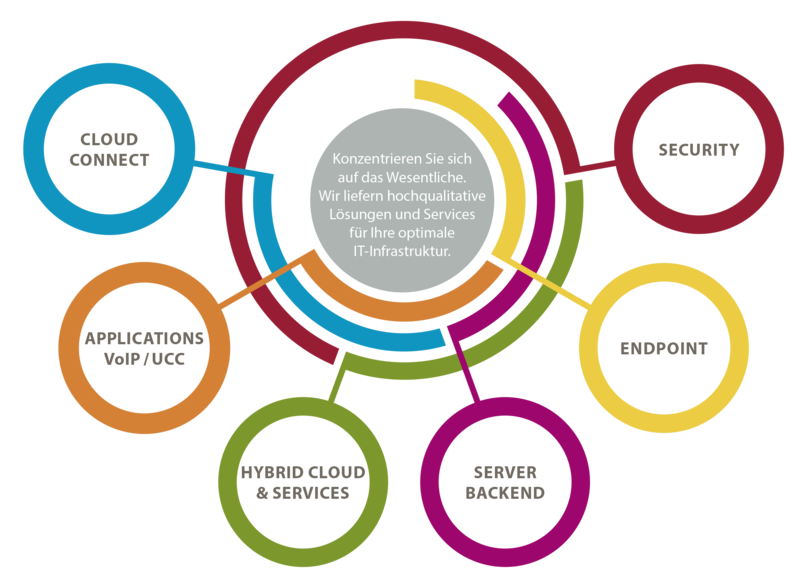 oneclick™ includes all necessary components for secure access to applications behind the firewall: Virtual Private Network (VPN), Application Delivery Control (ADC), Proxies as well as Identity und Access Management (IAM). While you are opening your complete enterprise network via a traditional VPN, with oneclick™ you can limit access to a single application. The Cloud Resource Manager of oneclick™ has a direct interface to OVH data centers. This enables you not only to provide the exact location, network and associated virtual machines directly out of oneclick™, but also to control the delivery of applications. The whole provisioning process is completely automated and you do not require special technical knowledge to set-up the required environment. Only the application still needs to be installed on the virtual machine. During operation oneclick™ ensures that resources are automatically switched on or off to continuously adjust capacities to usage and to optimize your costs. VH is a European market leader and one of the leading providers of IT infrastructures worldwide. The company operates 20 state-of-the-art data centers in 5 countries and on 4 continents as well as its own fiber network with a total bandwidth of 11 TB/s. OVH has a presence in 19 countries worldwide and currently employs around 1,600 staff. More than 1.2 million customers rely on OVH. SOGETI stands for efficient, scalable and secure infrastructure. Its service portfolio includes all infrastructure aspects and offers complete solutions that have an impact on your business results. Read more about oneclick™’s partnership with Sogeti and OVH in our blog or in our press release. Yes, I would like to find out more about oneclick™ and the added values gained from the cooperation with SOGETI and OVH.